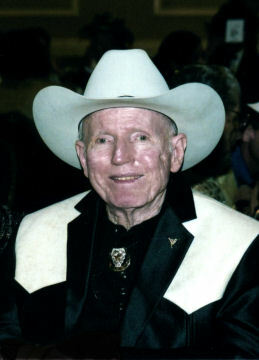 Reel Cowboy, John Tracy, son of actor Spencer Tracy and Louise Tracy, who founded the Los Angeles-based deaf education center in his name, died June 16 in Acton, Calif. He was 82. Spencer and Louise Tracy discovered their son was deaf when he was ten months old, which led to the founding of the John Tracy Clinic. Established in 1942, it became the only organization in the world to provide free services for the parents of infants and preschool children born with hearing losses. John Tracy was born in Milwaukee, graduated from Pasadena City College and attended Chouinard Art Institute. For a time, he worked as an artist in the Art Props Department of Walt Disney Studios. He is survived by a son, Joseph Spencer Tracy; a sister, Susie, and three grandchildren. Biography from Variety, June 19, 2007. Photo: John Tracy with his mother Louise.